I think everyone knows about Mother’s Day, right? What comes to your mind when you hear about Mother’s Day? Have you expressed your love to your mother? Many people say that they really have to pay attention to their mothers at any time without looking at any celebration. Respect for every mother can be done in various ways. Perhaps one way to do is to celebrate Mother’s Day. Then what about International Mother’s Day in Russia? The celebration of Mother’s Day is celebrated in almost all the world. Each country has different dates when celebrating Mother’s Day. Even so, there are some countries that celebrate it on the same date in the second week of May— this date is based on the date of the celebration in America. International Mother’s Day is different from International Women’s Day. This difference is on to whom congratulations are given. Mother’s Day is celebrated to honor mothers around the world. People will congratulate mothers and pregnant women. Moreover, Mother’s Day is celebrated to remind the importance of the role of a mother in the family. Even to celebrate Mother’s Day, some countries make the date of Mother’s Day being a holiday. While International Women’s Day is celebrated to honor all women in the world. Not only mothers, but also grandmothers, aunts, daughters, friends and others. Mother’s Day is also used by children to show their love for their mother. Mother’s Day is celebrated with high enthusiasm by children in Russia. And that’s what made their mother feel moved when they received the words “Happy Mother’s Day” or when they received gifts from their children. Children also show their gratitude to their mothers over the love they have received over the years. Mother’s Day in Russia exists because of the Presidential Decree in 1998. Therefore, the celebration of Mother’s Day in Russia became a national holiday. The State Duma Committee on women, family and youth is the one who has the initiative to make Mother’s Day in Russia a national holiday. The owner of this initiative was named Alevtina Viktorovna Aparine. She came from the Russian Federation State Duma deputy who is also member of the Central Committee of the Communist Party. 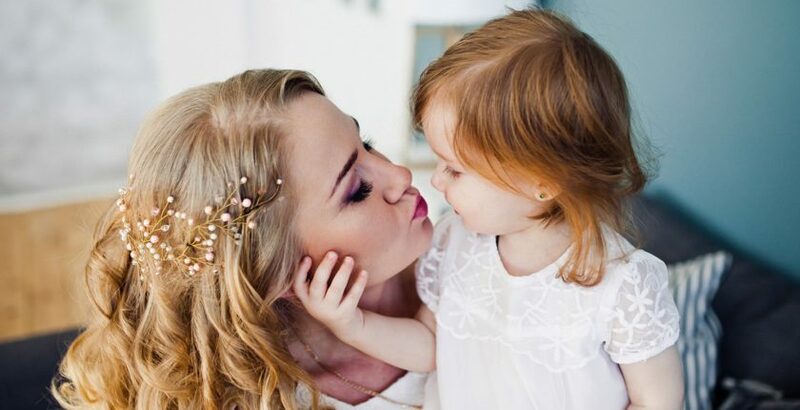 The purpose of the holiday in commemorating Mother’s Day in Russia is to maintain the tradition of prudence that must be addressed to women, to uphold the integrity in the family. Another purpose of this Mother’s Day is to remember to emphasize the importance of family values. Unlike other countries that have a definite date to celebrate the International Mother’s Day, the date to celebrate Mother’s Day in Russia remains unclear. The date that appears in the search when looking out on Mother’s Day in Russia is November 24 or the last Sunday of November. Some also celebrate Mother’s Day in Russia on March 8, the same day as International Women’s Day. Unlike in other countries, Mother’s Day in Russia has never had a celebration day. Celebration on Mother’s Day in Russia started to become popular among Russian women in the 1940s. Russian women who declare the day when women who rebel for equality of rights become Mother’s Day. However, Russian President Boris Yeltsin officially declare if every last Sunday in November as Mother’s Day. Since the Presidential Decree in 1998, people in Russia celebrated Mother’s Day and International Women’s Day on the same day, March 8. March 8 is celebrated as International Women’s Day in Russia. However, some are also celebrating the day as Mother’s Day in Russia. This celebration itself in Russia called “The 8th of March”. The Russians celebrate March 8 in honor of all women. Including mother, grandmother, daughter, aunt, friend or co-worker. Women will receive gifts during the “The 8th of March” celebration. The gifts received are also things that are liked by the women closest to them. Because the celebration of Mother’s Day in Russia is commemorated along with International Women’s Day in Russia, making Mother’s Day a national holiday. On national holidays, there will be several celebrations both in the family and in the workplace. To celebrate Mother’s Day and International Women’s Day in Russia, the workers get their days off. People will celebrate that day with joy. Many people who spend their holidays with the family. But there are those who choose to spend the holiday with their loved one or friend. For women who work, companies usually hold small parties to celebrate “The 8th of March”. But there are some people who have an opinion if this Mother’s Day holiday hasn’t gotten so much popularity among the people. Unlike in other countries that are so popular. Its popularity still has to compete with the International Women’s Day holiday. All right, we must always be happy in celebrating either the celebration of Mother’s Day and International Women’s Day. There may still be many other facts behind the celebration of Mother’s Day in Russia. If you know other facts and want to share stories about that fact, you can include it in the comments column below. The stories that you share will increase the knowledge of others to get to know Russia. I apologize if there are still any mistakes in the facts above. I hope this article can really help you to know about Russia’s International Women’s Day facts.